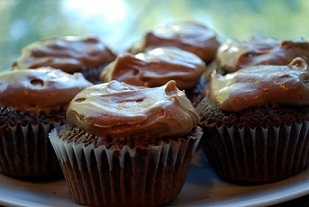 I created this site to share recipes with family & friends. 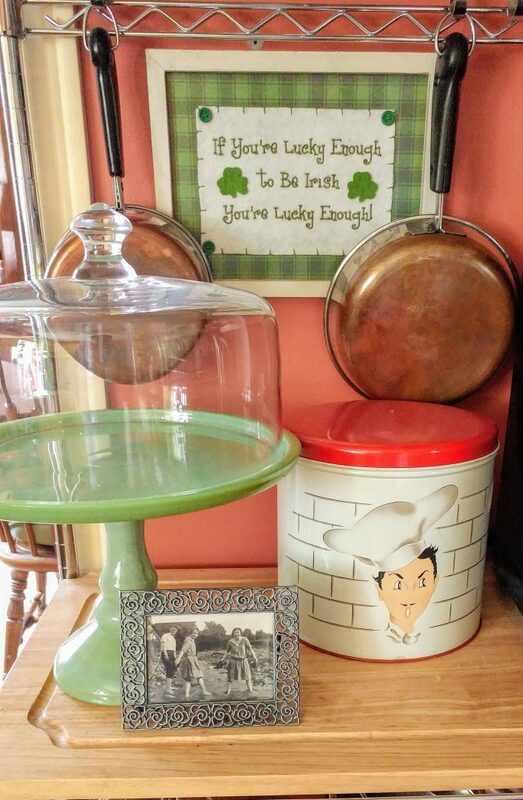 You may also notice my love of vintage kitchen items! 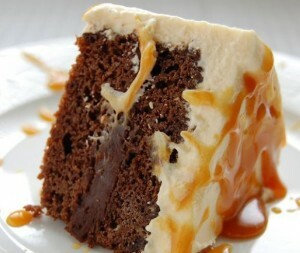 I found this recipe on The Pioneer Woman’s website. I have been using it for a few years and it always comes out perfect. It’s very easy to make and work with. In a large bowl, combine the shortening and flour using a pastry cutter for about 3 or 4 minutes until it resembles a coarse meal. 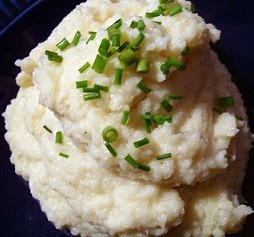 In a small bowl, beat an egg with a fork and then pour it into the flour/shortening mixture. 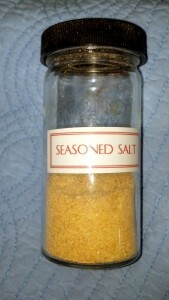 Add 5 tablespoons of cold water, 1 tablespoon of white vinegar and 1 teaspoon of salt. Stir together gently until all of the ingredients are incorporated. The dough may feel slightly wet or sticky. Separate the dough into thirds for 3 crusts. 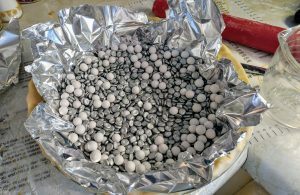 Form 3 evenly sized balls of dough and place each dough into a large Ziploc bag. Using a rolling pin, slightly flatten each ball of dough (about ½ inch thick) to make rolling easier later. Seal the bags and place them in the freezer for 20 minutes or until you need them. 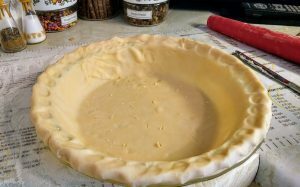 If you are baking a single pie crust alone, preheat the oven to 400°. 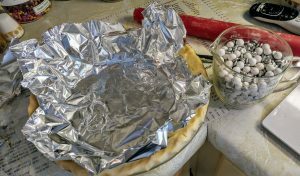 Place aluminum foil gently inside the crust and then use pie weights (or dry rice or beans) into the bottom and up the sides a bit. This will keep the crust from bubbling up. Bake it for about 10 minutes or until the edge just begins to brown. 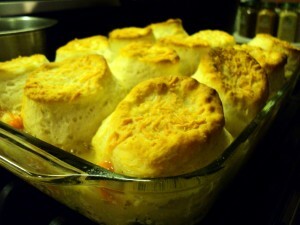 Gently, remove the foil with the pie weights and continue baking until the crust is golden brown. Let crust cool before filling. quickly becoming one of my favorite cookbooks. The mango and avocado make it a taste explosion! 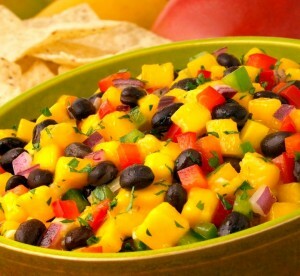 In a large bowl, combine the black beans, mango, red onion, and cilantro. 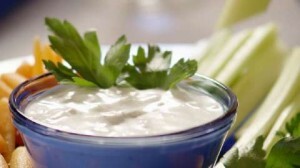 In a small bowl, combine lime juice, vinegar, sugar, garlic powder, salt, and pepper. Stir to dissolve the sugar and then pour over black bean mixture. Cover and chill in the refrigerator at least an hour. When ready to serve, gently fold in the diced avocado. 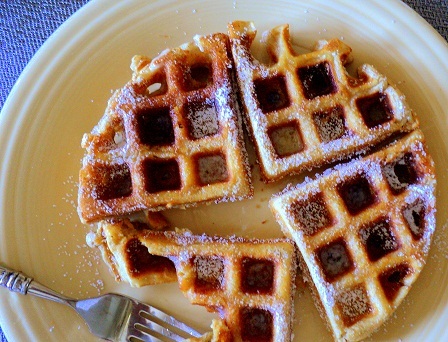 I made these for the first time this morning…and everyone loved them…definitely a keeper! Super smooth and not too sweet! 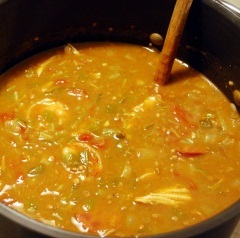 A Rachael Ray recipe from Sue S.
Anxious to try this one…I love gumbo!